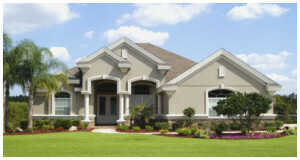 Stucco is a wall covering and building material that is weather resistant and extremely durable. It is made of binder, water and an aggregate. It is mostly used for coating and decorating ceilings and walls. Materials that no longer have a nice appearance, can be renewed with a covering of Stucco which will make it very appealing to the eye again. Stucco is perfect for covering many other building materials including concrete, wood, concrete/masonry blocks, bricks and numerous others. Stucco is used for it’s use of natural ingredients, ultraviolet resistance, durability, fire resistance, water repellence, tolerance to any climate, as well as it’s decorative properties and also the fact that it is extremely affordable. To get the required Stucco color, we add pigments into it and also we can achieve a variety of textures by using different conistencies of the mix and the aggregate size. We can also change the look of the finish, depending on the way that we apply the Stucco. Although applying Stucco may look easy, it is best to leave it to a professional as it needs precise application so as not to get rotting, cracking or bulging. If applied correctly, it will last for many years. Stucco is used by leading builders, designers, painters and decorators and Zoran The Painter can provide you with a range of amazing finish and texture choices. We are a company that you can count on and will provide you with Excellent Service, Excellent Quality, Consistency and Reliability. Stucco is suitable for Commercial, Industrial or residential properties, for both interior and exterior. Your home is the biggest investment of your life so it is most important that you take very good care of it. It’s toughness resists attack and is complemented beautifully by the variety of textures and colours available. We specialise in SANDSTONE EFFECT which means turning almost any surface into a SANDSTONE DECORATIVE FINISH which feels and looks like real sandstone. 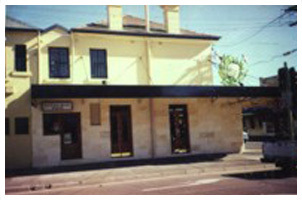 You can easily view some of our decorative finishes at “The Cauliflower Pub” corner of Botany Road and Wellington Street Waterloo NSW. 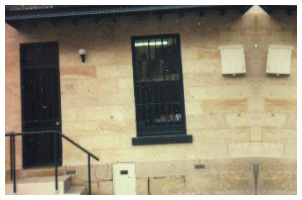 or SCCEGS Terrace 217 Forbes Street Paddington.As with all our work, we promise courteous assistance, professionalism and quality workmanship.